WHAT IS A LANDSCAPE ZODIAC? A landscape zodiac (or terrestrial zodiac) is the reflection of the Heavens (star map) upon the Earth, formed by features in the landscape, such as buildings, roads, streams and field boundaries. As above, so below. Perhaps the best known example is the Glastonbury Temple of the Stars, situated around Glastonbury in Somerset, England. The temple is thought by some to depict a colossal zodiac. The theory was first put forward in the late 1920′s by Katherine Emma Maltwood, an artist who “discovered” the zodiac in a vision. In 1938, Katherine and her husband John Maltwood moved from Glastonbury England to Victoria, British Columbia, Canada. Although the Glastonbury Landscape Zodiac idea caught the imagination of many in the 1920’s, it was quickly dismissed by historians and archaeologists and soon forgotten. 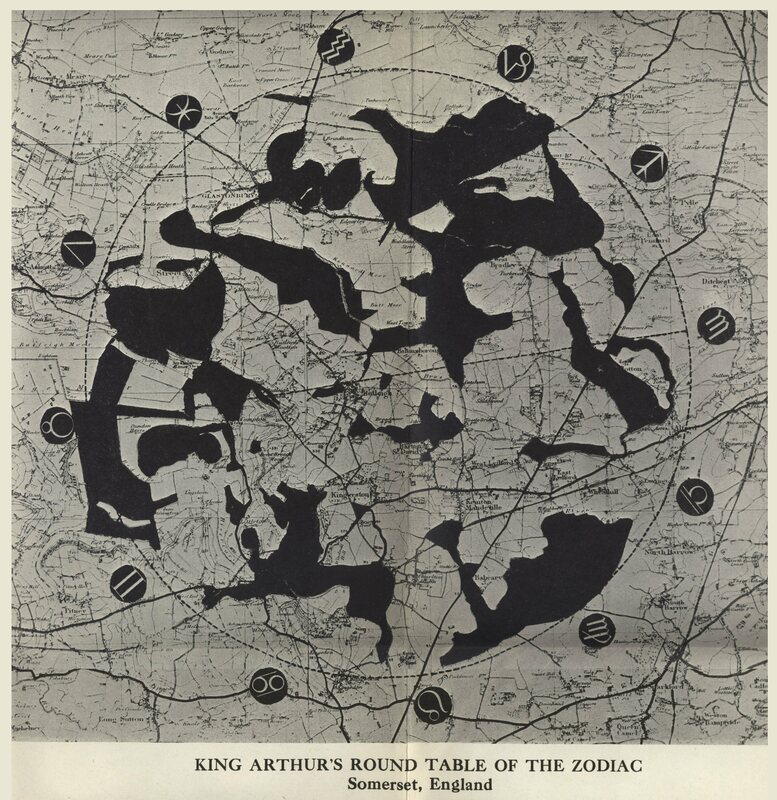 Interest in landscape Zodiacs was re-ignited in 1969 by Mary Caine, a writer from Kingston, who revived an updated version of the Glastonbury Landscape Zodiac in a 1969 edition of the “hippy” magazine called Gandalf’s Garden. 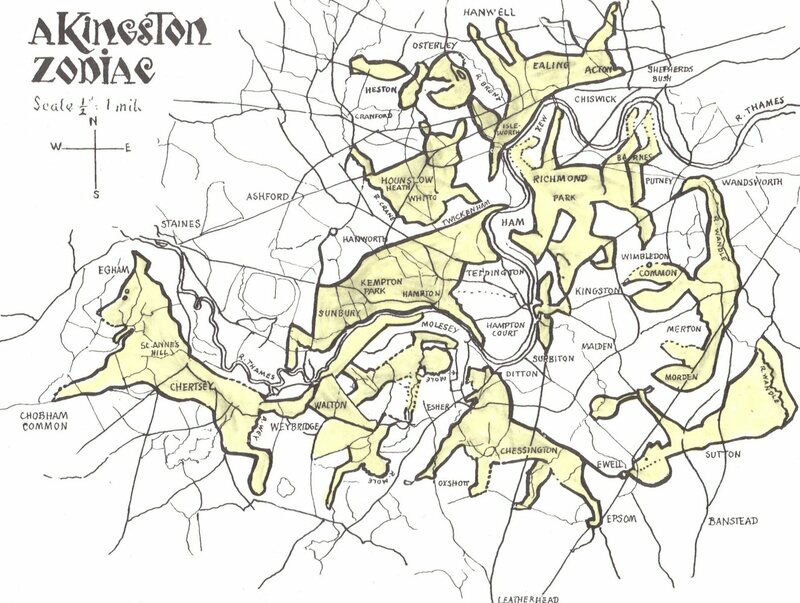 In 1970 she took the idea further in her book “The Kingston Zodiac” in which see shares her discovery of a landscape zodiac in the Kingston on Thames area of England. In the fall of 2010, a series of synchronistic events lead to a local Victorian woman by the name of Mary Dowds discovering a Landscape Zodiac here in Victoria, British Columbia, Canada. See the individual Zodiac pages of this website for detailed information about these three Landscape Zodiacs. More Landscape Zodiac related information is also available on my Teachings of the White Raven Facebook page at the following link. I am new to the word of WordPress so I will have to ask that you bear with me while I figure out how it works. I have so much more information to add. Thanks.